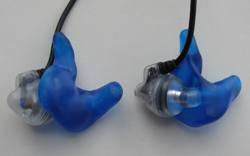 Shure Earphones are incredible products but we receive hundreds of e-mails every month from customers looking for a way to improve the performance and fit of their earphones. 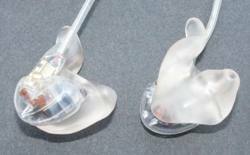 Custom made Audio Earpieces from Avery Sound are the answer. 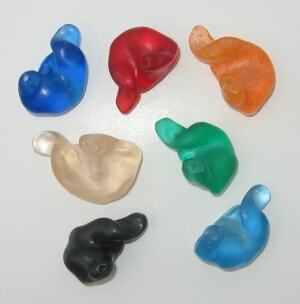 Avery Sound Company can provide you with a pair of custom molded Audio Earpieces giving you the comfort and sound quality you deserve while reducing outside noise and they won’t fall out of your ear! 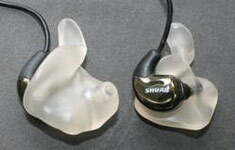 Which Shure Earphones will work with Avery Sound Custom Earpieces? 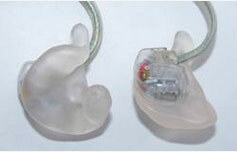 The earpieces are not only custom fit for your ear but are custom fit for the specific model of Shure Earphones. 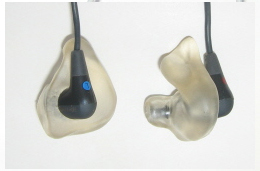 Shown below are examples of Shure Earphones with custom earpieces. If you do not see your model pictured send us an e-mail. 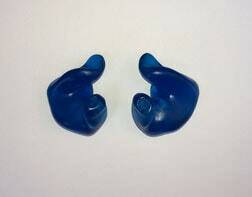 We are adding new models every month. 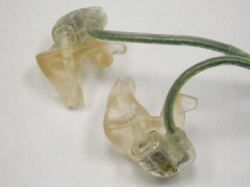 Just received the (Shure SE425) in-ears… perfect. Thanks again for your excellent service. I will tell all the musicians I know about your company. Thanks again. 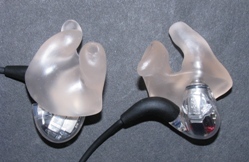 Thanks so much for the fitment instructions for the Shure SE530PTH custom earpieces. 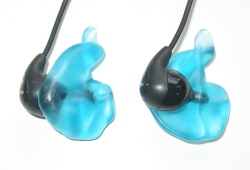 They fit great, sound great. Count me as a very satisfied customer. I just wanted to let you know that I am very pleased with all of the products I purchased. They came out great! 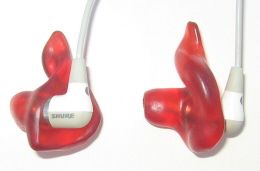 In fact, in terms of the earpieces for the Shures, I am hearing sound I never heard before and during very familiar music--it's kind of cool. Again, thank you for great products, and even greater customer service! All the best. 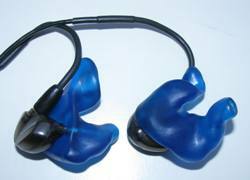 Just a quick note to let you know I got my plugs (both sets) and they fit perfectly - the set made for the Shure E-4’s are especially nice. Many thanks again. 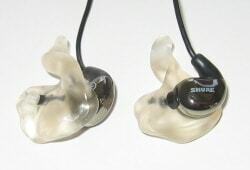 Thanks.....I got the custom earpieces for my Shure earphones and they are great. They are very comfortable. Thanks for a great job. I would like to write and express my thanks for making those impressions work (especially from two sets) for me. 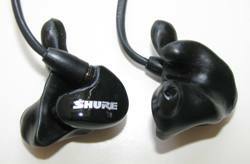 The Shure SE530's fit so well and I often forget that I am wearing them, because they are so comfortable. Also, let me say that in all of my years of ordering on-line products: your customer service, attention to my needs, and taking the time to explain things to me--more than out-weighs any other. Again, thanks for helping me and I will gladly refer others to you.